Under data protection laws, you may need to collect consent to send email marketing. We’ve made it really easy to add an email marketing opt-in checkbox on your online box office. Go to Box office setup and click on Checkout form. Select Buyer only when prompted and then select Opt in to receive marketing emails from the drop-down. Customise the text under What question do you want to ask? and click Save custom question. That's now been set up. 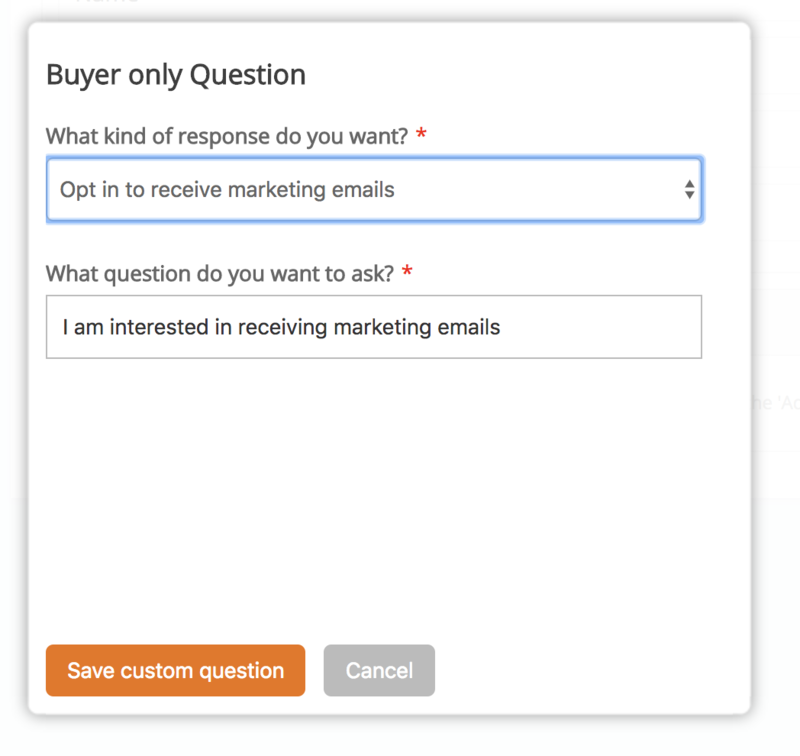 Your customers will now be prompted with an opt-in checkbox when registering for an event. This data will now be stored with the order and available in your order exports. Go to Box office setup and click on Connect apps and then click on MailChimp. You should see a drop-down entitled Require customers to give their consent. Select Yes for this.